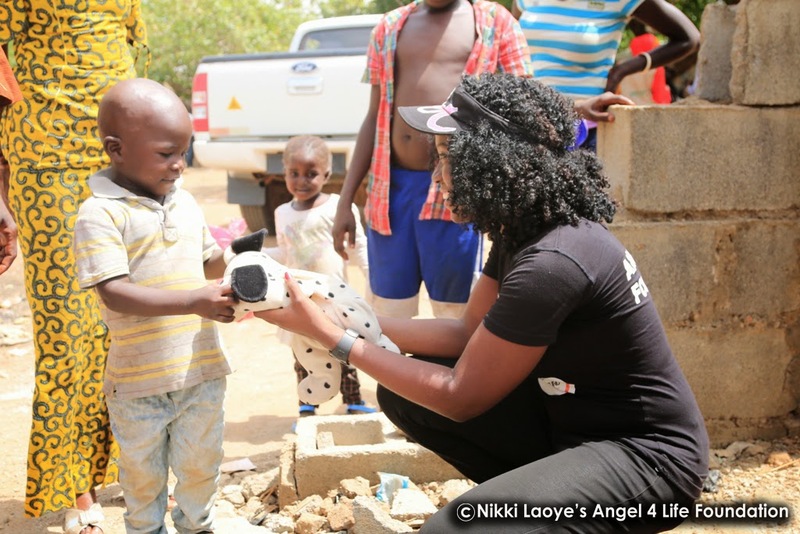 Multiple Award winning singer/humanitarian, Nikki Laoye has stepped out to support internally displaced Nigerians via her foundation, Angel 4 Life, with the relief project tagged "The Angel Relief Fund". 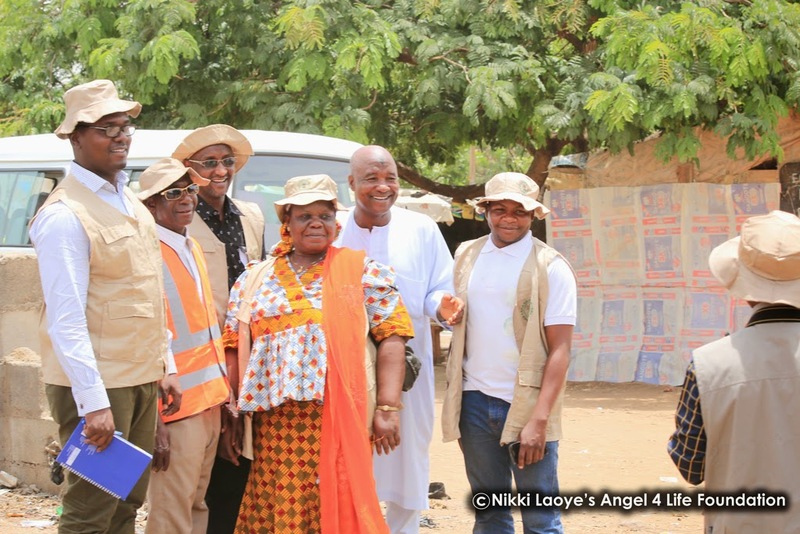 Nikki Laoye visited the Kuchingoro camp in FCT on Monday, March 23rd, along with her husband, Alex Oturu; top gospel artists from Abuja (Faith Yebo, Japhy Davies, Chris Ade, Chris Tover, Samfoni) and officials of the government agency, NCFRMI (National Commission for Refugees, Migrants and Internally Displaced Persons) led by Director of IDPs, Mrs Magaret Essien and Director of Migration, Hajia Amina Ibrahim. 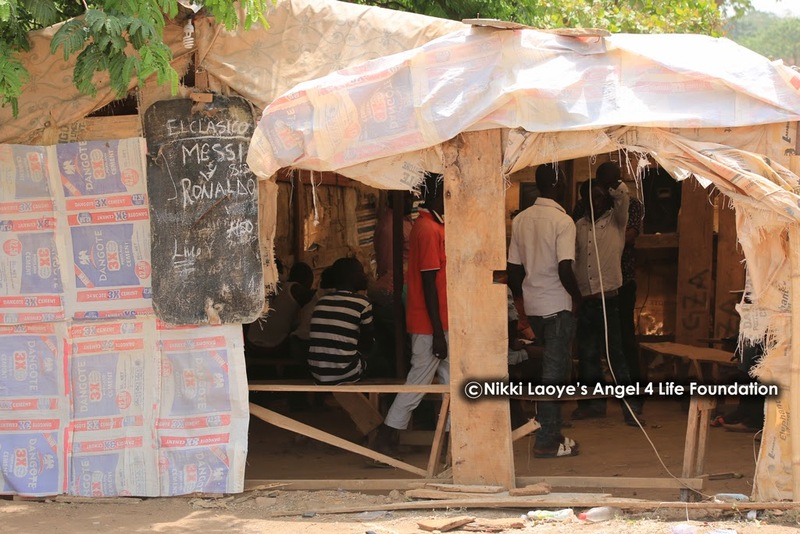 The Kuchingoro camp is a makeshift one with houses made of sticks and old sacks of rice used as walls & windows. 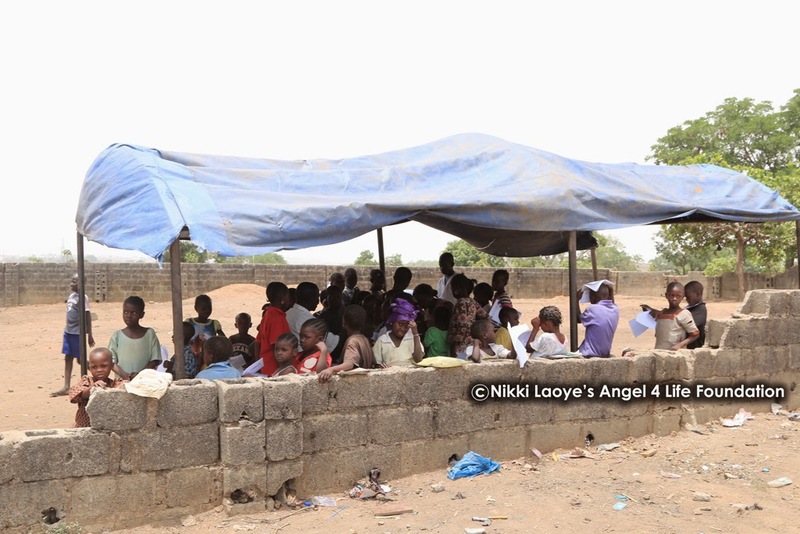 The men have also built a viewing centre using the same materials, for amusement purposes & connection to the outside world.The children were also seen attending school on an open field, with the younger ones learning under the trees while the older ones are taught under a canopy. 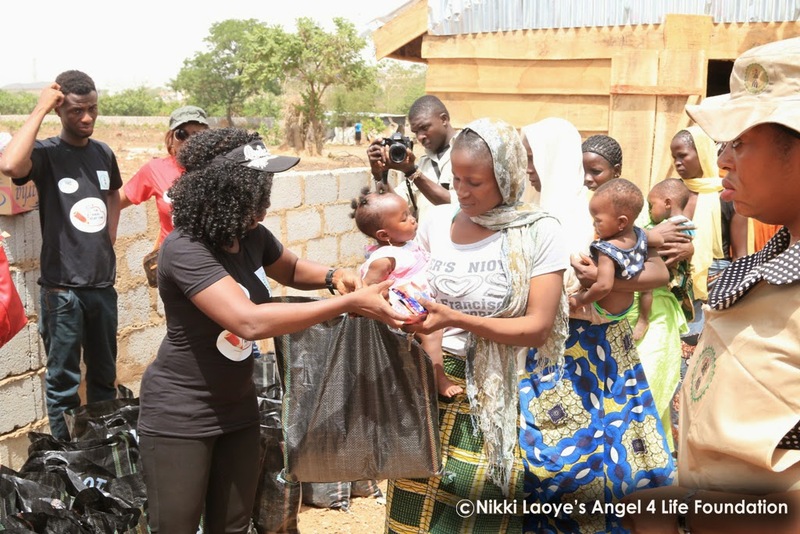 Food supplies, Relief Items and Toys were distributed to the displaced men, women and children who had moved to the camp from Borno and Adamawa States. 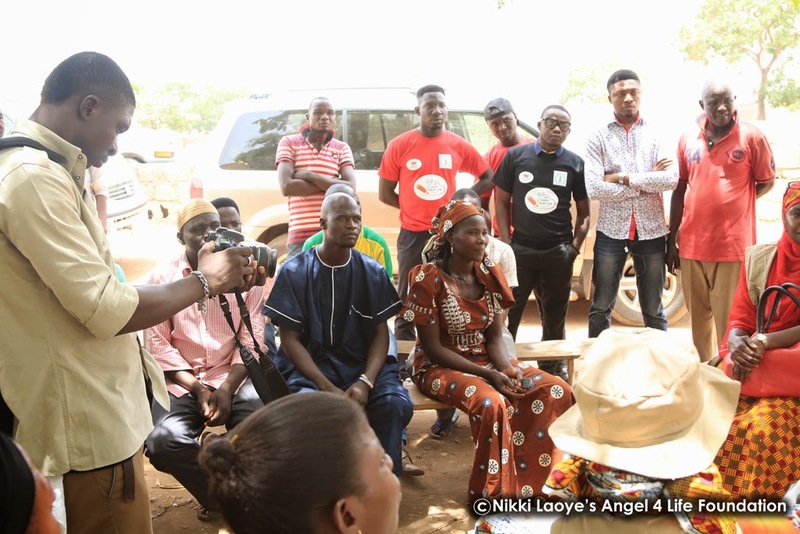 Meetings were also held with the group leaders of the camp community to discuss their present situation with promises and plans of future support from the foundation to help with the empowerment of the men and women as well as the education of the children on the camp. 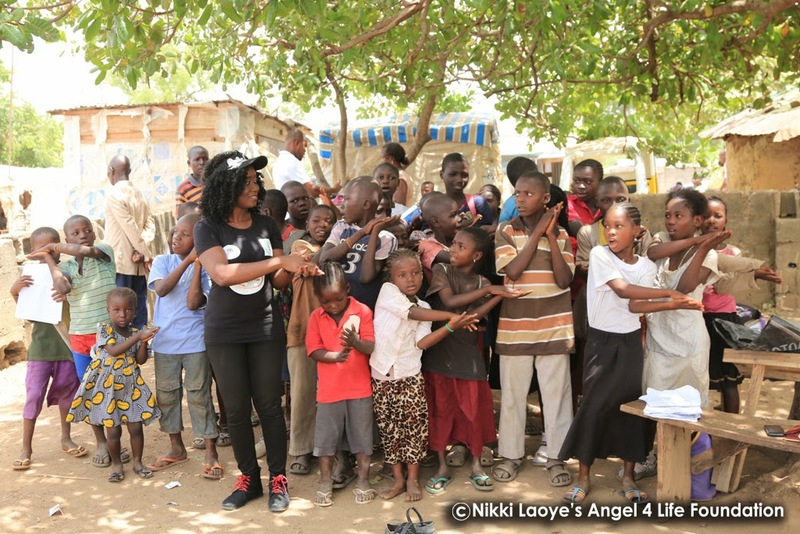 The women and children of the camp sang and danced to celebrate Nikki and the rest of her team, in appreciation of the love and concern that was shown to them. 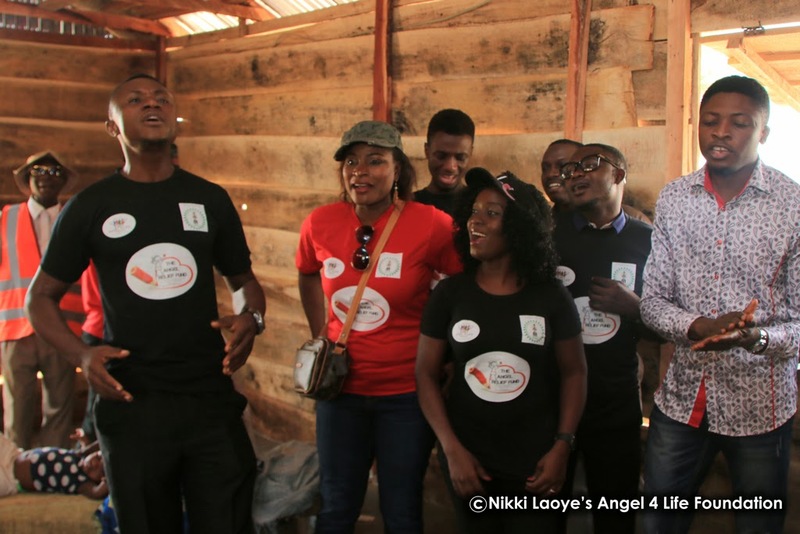 In response, led by singer, Chris Tover, the musicians - Faith Yebo, Japhy Davies, Chris Ade, Chris Tover, Samfoni with Nikki Laoye also sang and prayed for them in Hausa. 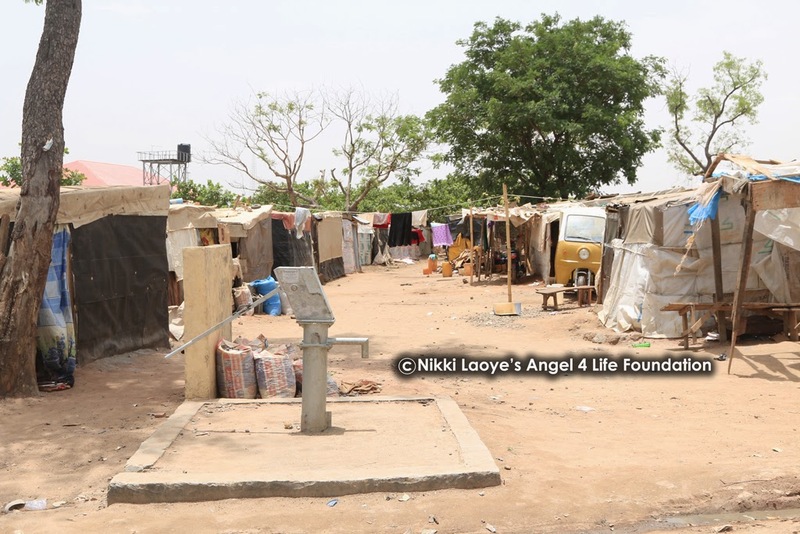 Kuchingoro camp is just one of the many IDP camps set up with barely enough room for the thousands of Nigerians who had run for safety from the North Eastern part of Nigeria as no fewer than 3.3 million Nigerians were displaced by conflicts in the immediate past year. 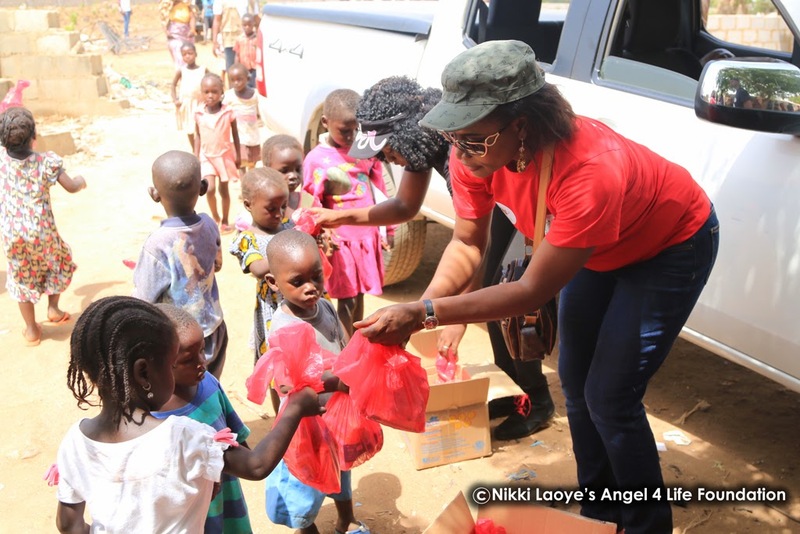 In line with her service as an ambassador for the NCFRMI commission, Nikki Laoye has set up The Angel Relief Fund to further support the ongoing relief works for internally displaced persons (IDPs) within Nigeria, who have been badly hit by the scourge of violence & terrorism. 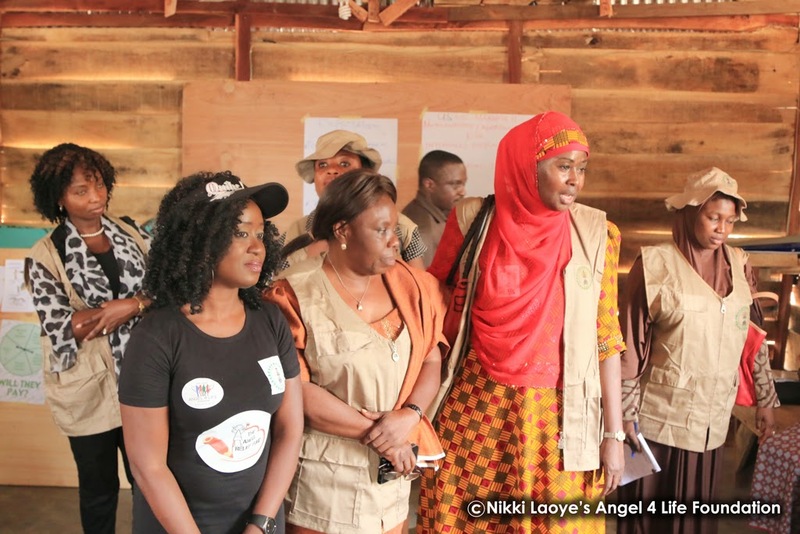 Last year, Nikki Laoye was appointed as the Celebrity Voice for Refugees and IDPs by the agency's SouthWest zone, to bring to the forefront the activities of the NCFRMI as well as the plight of refugees & internally displaced persons. 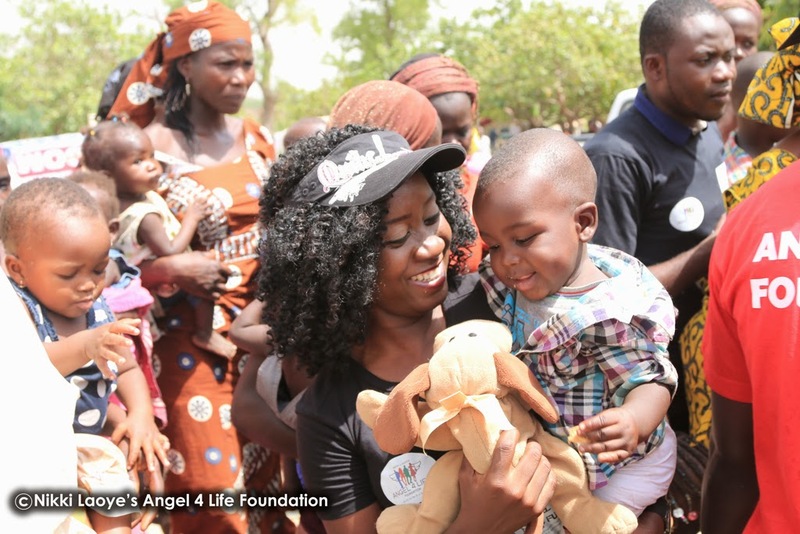 Speaking about the initiative, Nikki Laoye says "It is really a sad situation in the north for our fellow brothers and sisters and we do pray for God's help and strength to our troops to quench this invasion once and for all. In the meantime, We have to look out for our own and do what we can to soothe their pains. They are in constant need of food, water, clothing and more to survive daily as they rebuild their lives once again. It's the little we can do. 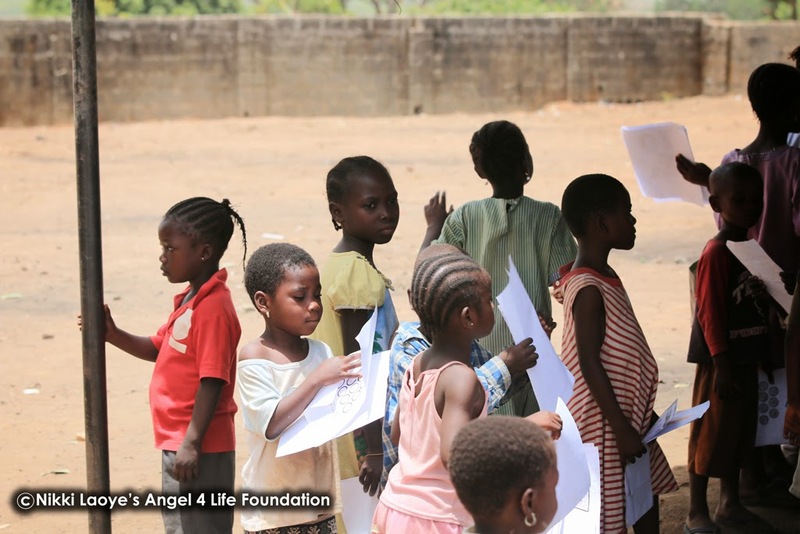 I say a big God bless you to everyone who has donated and supported this initiative – We are Strong Together, Thank you". 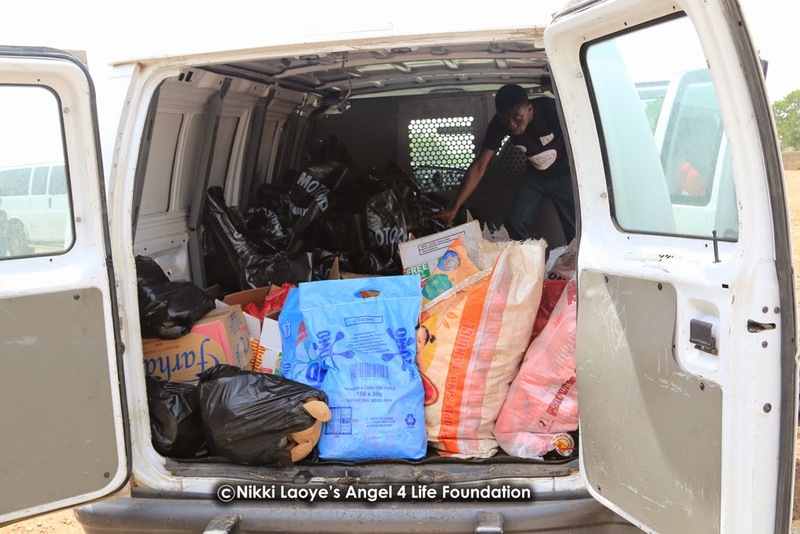 Nikki Laoye and her foundation kicked off The Angel Relief Fund last month, with the support and donations of well meaning individuals, organisations and her fellow colleagues in the entertainment industry. 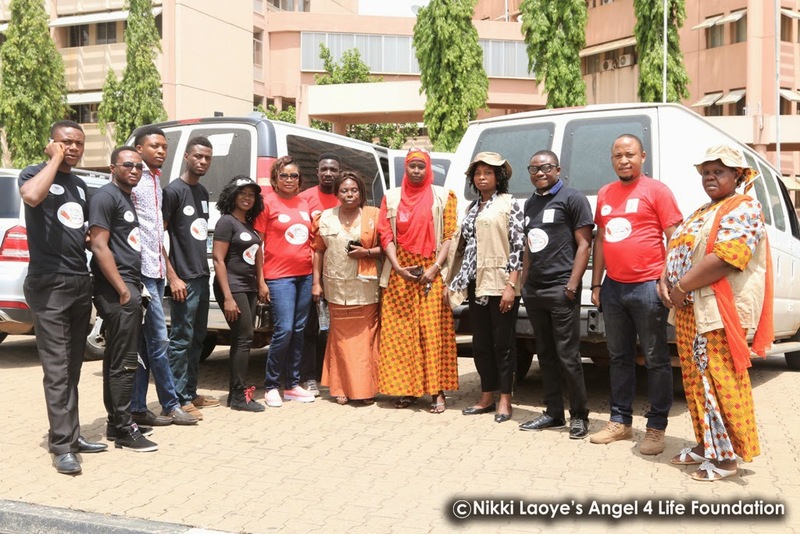 A social media campaign was also created with specially designed promo pictures of celebrities speaking out for a better Nigeria and soliciting for more support for the displaced in the North which were shared on their social media platforms to create further awareness amongst their fan network. They also supported the relief fund with personal donations. Some of the celebrities include Yemi Alade, Show Dem Camp, Faith Yebo, Steve Babaeko, Anny Ibrahim, Seyi Shay, Oscar & Titi Oyinsan , Waje, Rotimi Keys, Lara George, Kiki Omeili, Niyola, Ada Ehi, Olaitan Dada, Frank Edwards, Emma Nyra, Timi Dakolo, Monique, Sammie Okposo, Joe Praize, Mike Abdul, Onos, Ibitayo Jeje, Omenesa, Gaise Baba, Praiseworld Radio, Capital F.E.M.I, Do2Dtun of Cool FM, Uche Nnaji of OUCH, ToluFame, Jenny O (HipTV Presenter) and many more. Pastor Tunde Ayeni of Graceville Christian Centre Abuja also supported the outreach with the provision of two large white buses with drivers to help with the transportation of the team and relief items to and fro the camp.Top media companies in Abuja - Big H Studios and El-Gibbor Video Productions supported the initiative with free photography & video services for the day. 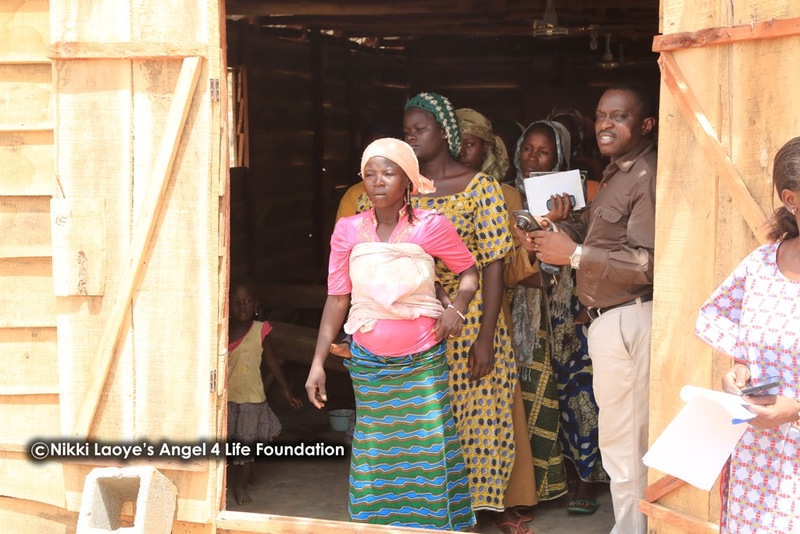 #TheAngelReliefFund initative is an ongoing awareness fund raising campaign to synthesize the public about the situation in Northern Nigeria and also get more involvement and donations from the society towards their needs.All Donations are used to provide food, medical supplies, care and support for internally displaced persons at different IDP camps across the nation. 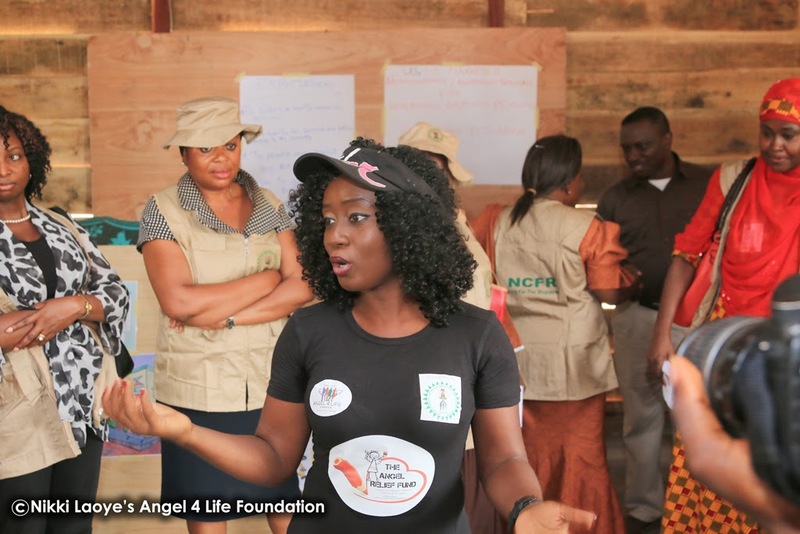 Nikki Laoye's Angel 4 Life Foundation has actively conducted humanitarian projects in Nigeria for the past five years and impacted many Nigerians through different programs for people with disabilities such as the Buy A Cane project for visually impaired individuals; Inclusive Education projects for physically challenged students and currently the empowerment and support of internally displaced Nigerians via The Angel Relief Fund initiative.